Click the banner above to check out the author's web page. Author and illustrator Charise Mericle Harper made December 19, 2013, a very special day for students and staff at Half Day when she came to visit. We spent several weeks preparing for the visit by researching her life, reading her books, and admiring her illustrations. Students also had an opportunity to follow Charise's creative lead by making comic strips, cupcake creations, maps of themselves, or even producing pictures showing the kind of person they'd like to be and making an illustration by using a photo of themselves for the head just like Charise Mericle Harper did in her book When I Grow Up. (See the slide show above right for examples.) Charise loved looking at the work the students did and might even include some of it on her web page! During her presentations, Charise told many stories about her life and how those experiences inspired her work. Morgan liked seeing the monster pictures Charise made as a child and the ones she made as an adult for her book The Monster Show. Raquel appreciated how Charise likes to challenge herself by trying new ways of creating art. Other student favorites were the story about wearing an eye patch, playing a game that involved tossing a huge inner tube, and trying to create the perfect blue to match a bag of flour. 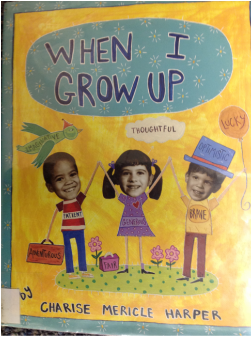 Michelle said, "I thought I knew a lot about the author before she came, but I learned even more when she was here." Personally, I was inspired by her message that sometimes we have to be our own superhero. 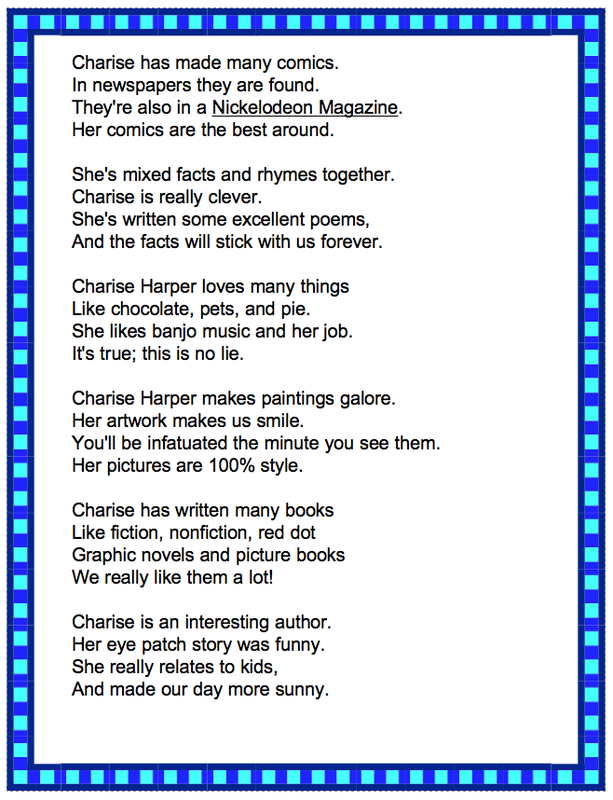 As a souvenir of her time at Half Day, we gave Charise a nonfiction poem about her life using facts we'd learned from her web page. 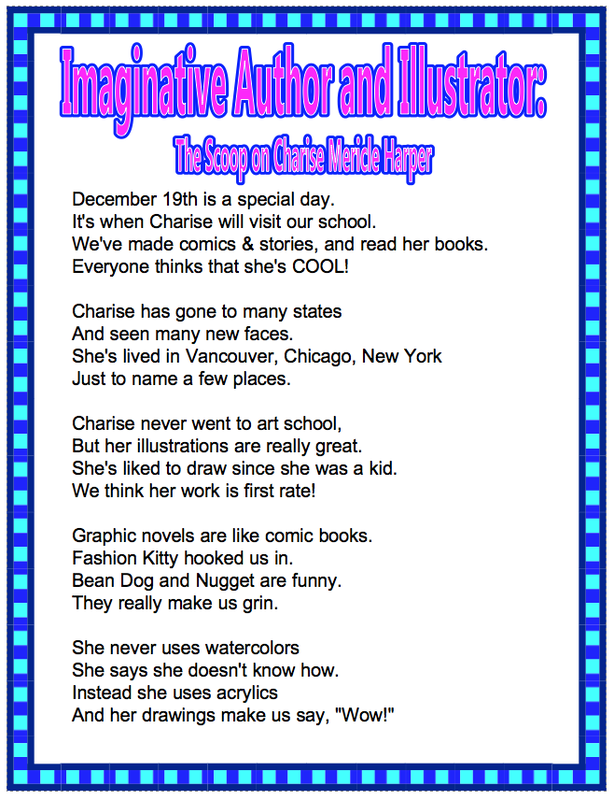 We modeled our verses on Charise's nonfiction poetry books, Imaginative Inventions and Flush: The Scoop on Poop, using the ABCB rhyming pattern that she uses in many of her poems. After writing a sample verse as a whole class, small groups tackled the challenge of writing another verse based on a different topic about our visiting author and illustrator. We hope you enjoy reading the results of our efforts. 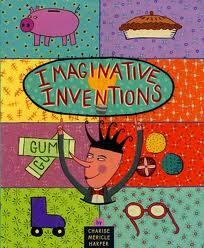 Click her name to hear how the author/illustrator's name sounds. 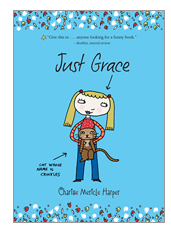 Click the book to go to the Just Grace web page. Click the book above to see a short book trailer for Fashion Kitty. Click the book above to see what Click Magazine has to say about this title. Click the book above to read an interview with the author/illustrator. Click the book above to go to the Wedgieman page. Click the link above to see a 10 second video about this book. Click the book above to see a Readers' Theater production of the book. 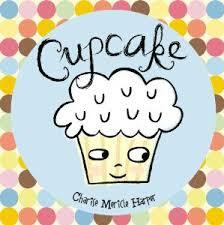 Click the book above to read about how this book was written with a school near the author/illustrator's house.